This post has been brought to you by Skillshare, Homestead Survival, and Frugal Sustainable. And by that, I mean these sites regular updates and encouragement to make and to share got me to start trying it out. And it's kinda fun! So what am I'm making and sharing today? Tea. Really good tea too that doesn't really need anything added to it. Tea is the major drink of choice throughout the world and has a long history with many different cultures throughout the world. 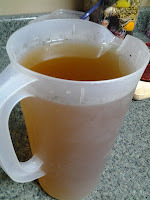 I was never really much of a tea drinker, unless you could the inundated sugary drinks that come in glass or plastic bottles. A year or two back, I was intrigued by the idea of an edible landscape discussed in the book, Made by Hand by Mark Frauenfelder. I was equally intrigued by Dickson Despommier's The Vertical Farm. Both of these had me thinking about the ways in which I could make the landscape that I live in, be both useful and aesthetically intriguing. It would mean not just pouring in time and money to landscape the yard, but doing so in a way that produced rewards beyond aesthetics. So I started tinkering with creating an edible landscape. I've got a way to go, but one project I've been working on is encouraging the growing of mint in some places, instead of grass or other things. 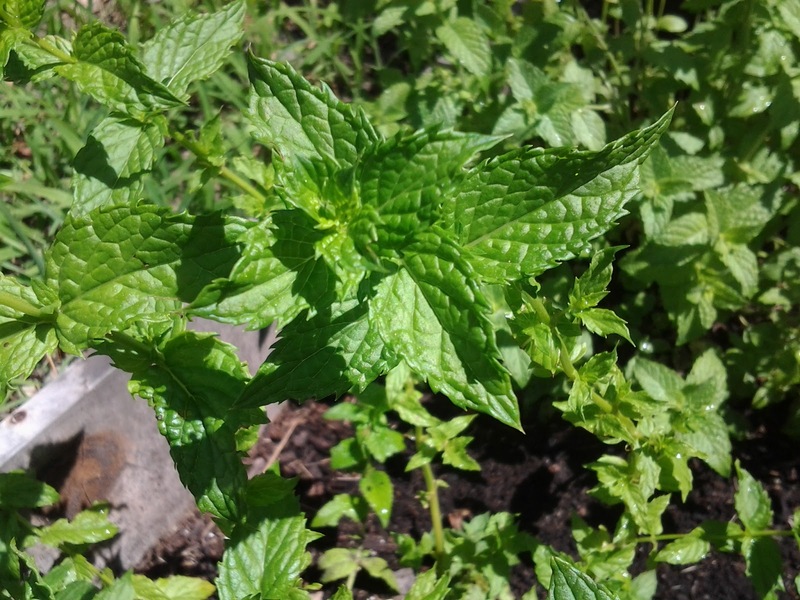 This has been nice and led me to go further and create a good size herb garden that I plan to develop further. 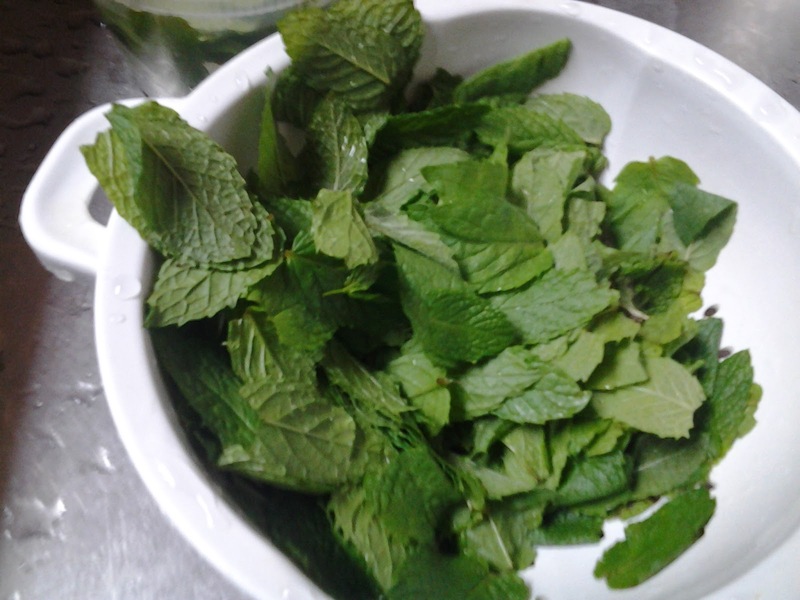 But all of it has led me to have a whole lot of mint available. After talking with a few friends, the idea of making a tea out of it was hit upon, since I have the dehydrator. 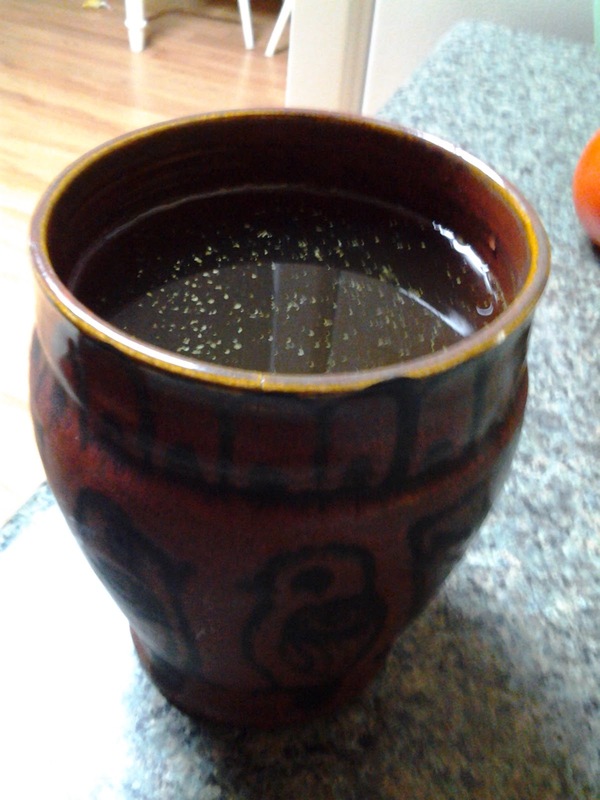 Thus, I ventured into making tea and finding that I actually really like it. What I've created is refreshing and tasty and pretty easy to make large amounts of. 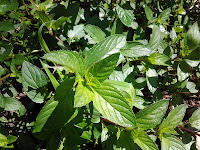 My ingredients include using sweet mint, peppermint, spearmint, chocolate mint, and stevia. 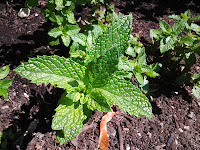 The mints are hardy perennials that once you plant, you can expect to come up year after year. 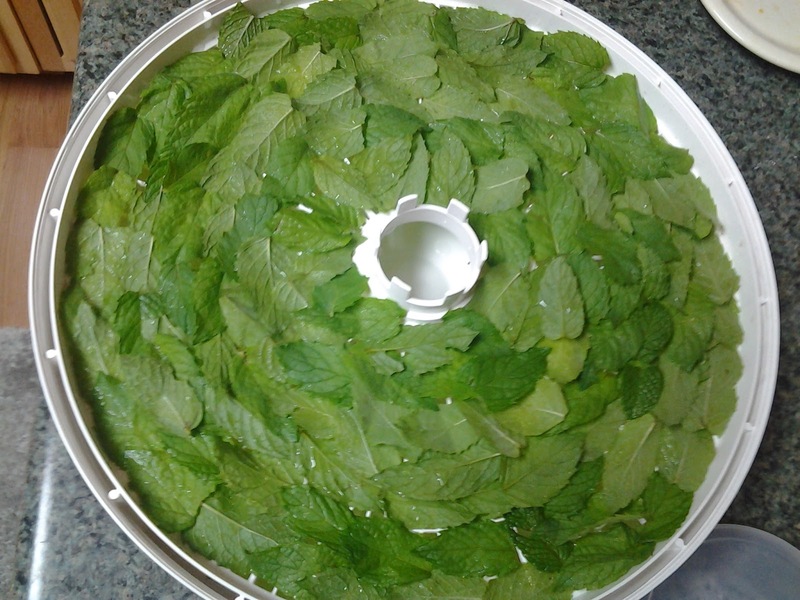 I recommend always picking the big leaves and doing this at least once a week. 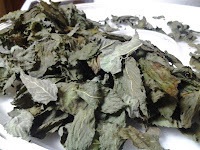 It often delays the blossoming process (though I don't know if that has an effect on the quality of the leaves). STEP 1: So the first thing is to pick them. This is the 2nd most tedious step in the process. The higher the leaf is on the stem, the more careful you want to be and use 2 hands. 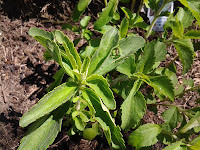 1 hand to stabilize the top of the stem, and the second to tear the leaf at the base. 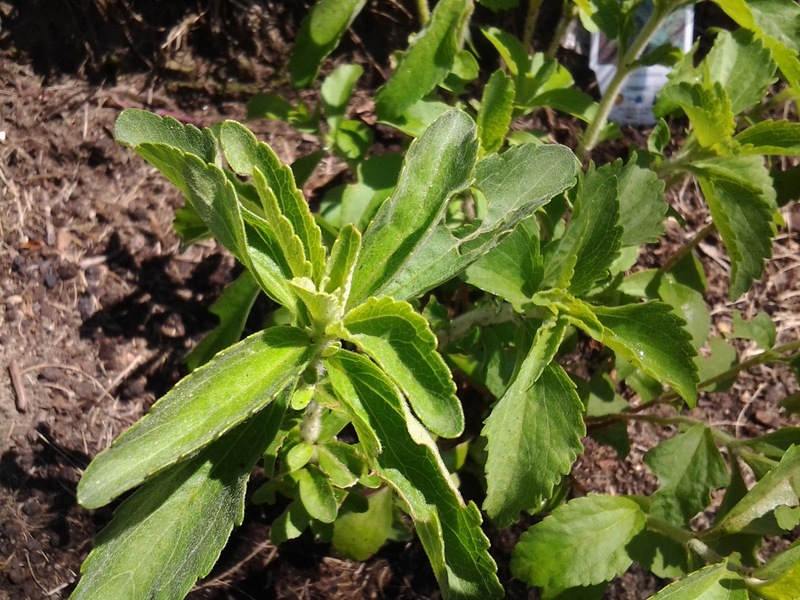 Don't pull from the end of the leaf; you're likely to tear the leaf OR take the top of the plant off. 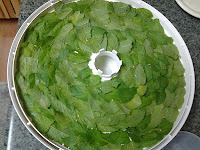 STEP 2: Lay them out on the dehydrator plates. This is the most tedious part of the venture and I'd lie if I didn't say I sometimes don't lay them out so neatly. More than picking, if you're careful about the layout, it is likely to be the most time-consuming process. 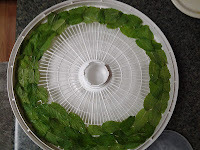 Step 3: Even if you're going to not be as deliberate in the lay out, make sure you have spaced them out to some degree so that they dehydrate evenly. Step 4: Dehydrate. This can take from 3-6 hours depending on how high you put the setting, but you don't have to be present for this. Just turn it on and go. I check in usually around the 4 hour mark and see if they are crispy and crunchy to the touch. If so, I take them out; otherwise, I let it keep going. 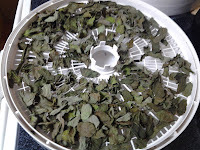 Step 5: Once done, turn off the dehydrator and start collecting the leaves. 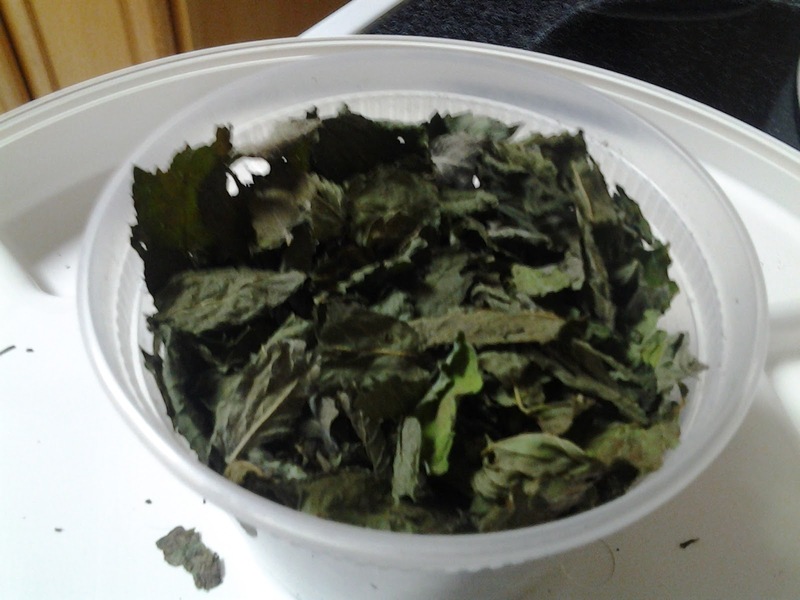 Step 6: Empty all the leaves into a container that you can seal. You can choose to crunch them up now or later, but it's best if you do crush them as some point. 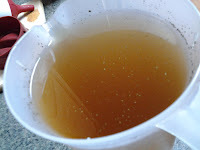 Step 7: When it's time to make the tea, figure out a formula (which takes time and testing. I usually do about 1/3 cup to 1/2 cup of leaves per 2 liters. But I'm still in the experimental stage. Toss in the leaves, toss in the water. 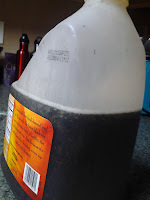 Shake it up good and put in the fridge for at least 24 hours (I often go longer because I forget or am finishing the last batch). Step 8: When done, use a strainer and pour out the tea into another contained. I would recommend straining at least 2 more times to try to get all the leaves, but that's a personal preference. Step 9: When done, pour yourself a cup and put the rest in the fridge. I don't know about staying times, but my tea has been in the fridge for over a week and still tastes great. It won't destroy the drink. 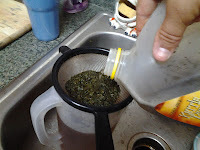 Note: There will be residual tea leaves--too small for a strainer. That's perfectly fine. It's not harmful in any capacity.